Home to many castles, museums, art galleries, royal palaces, world-famous universities, breath taking landscapes and some of the most beautiful villages in the world, United Kingdom is one of the most visited countries in the world. Its cities are voted as Top Tourist Destinations every year by people all around the world. With one of the largest financial centres in Europe, and with the most visited city by international visitors in the world , Britain is a Kingdom of superlatives. 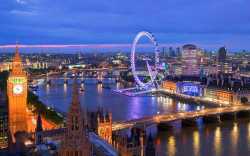 London is the capital and the most populous city in England. The city of London is a leading global city, a world cultural capital and the most visited city by international tourists in the world. When visiting London it worth checking some of these objectives: British Museum, London Eye, Westminster Abey, Buckingam Palace, Tate Modern, National Gallery, Tower of London, Shakespeare’s Globe and Camden Market. Edinburgh is the capital city and the largest city of Scotland. 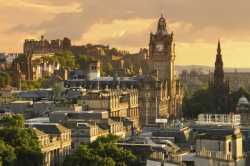 Its rich history, cultural venues, and UNESCO Heritage Sites transformed Edinburgh a city to remember. Edinburgh is also home to the largest international arts festival in the world. While visiting Edinburgh you shouldn’t miss some of these attractions: Arthur’s Seat, Royal Yacht Britannia, National Museum of Scotland, Old Town, Holyrood Park, Tower Restaurant and Edinburgh Castle. 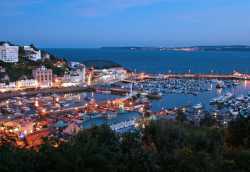 Located on the British Riviera, Torquay is a small coastal city with a Mediterranean feel. Home of the prestigious writer Agatha Christie, Torquay is also famous for the Kents Cavern Prehistoric Caves and for its picturesque seafront. When visiting Torquai, you shoul check out some of these objectives: Kents Cavern, Babbacombe Theatre, Cockington Country Park, Torre Abbey Historic House and Gardens, Living Coasts, Meadfoot Beach and Agatha Christie Mile. Located in Yorkshire, the historic city of York is a popular tourist destination. 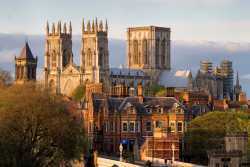 Voted European Tourism City of the Year in 2007, York is a an amazing cultural and historic city with a medieval look. When visiting York we recommend visiting also some of these objectives: National Railway Museum, York Castle Museum, the City Walls, York Minster, The Shambles, Jorvik Viking Centre, Yorkshire Museum and Castle Howard. 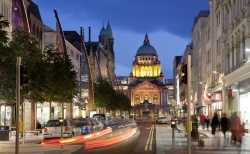 Known as the birthplace of the Titanic, Belfast is the capital of the Northern Ireland. Once with a bad reputation, Belfast became a popular cosmopolitan destination being home to many cultural venues but also to some award winning restaurants. When visiting Belfast don’t miss: Crumlin Road Gaol, Titanic Belfast, Ulster Museum, Queen’s University, SS Nomadic, Grand Opera House, Botanic Gardens, St. Malachy’s Church and St. George’s Market. 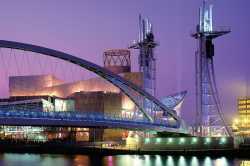 Also known as the capital of the North, Manchester is also known for it great football team and as a great music scene. With a rich history and heritage, Manchester has plenty to offer to its visitors. When travelling to Manchester you should also visit some of these objectives: Museum of Science & Industry, John Rylands Library, Royal Exchange Theatre, Old Trafford, Imperial War Museum North, John Rylands Library and Granada Studios. The Mecca of the Beatles fans, Liverpool is a city with an impressive cultural heritage. 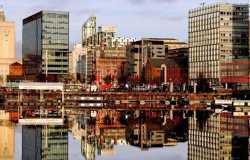 Famous for its museums and art galleries, Liverpool exceeds your expectations in so many ways. When visiting Liverpool don’t miss: Mendips – John Lennon Home , World Museum, Beatles Story Museum, Liverpool Cathedral, Anfield Stadium, Merseyside Maritime Museum, McCartney Home, and Sefton Park. The largest city in Scotland, Glasgow is one of the most sophisticated and modern cities in UK. 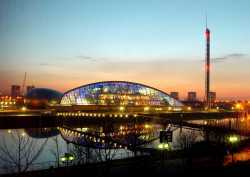 Except its great museums, galleries and top-notch restaurants, Glasgow is famed as being the most famous live music scene outside of USA. Here are few objectives, you don’t want to miss while visiting: Kelvingrove Art Gallery and Museum, University of Glasgow, Glengoyne Distillery, The Mackintosh House, Pollok Country Park and The Riverside Museum of Transport.